We are super big on tradition at our house. My girls are so into traditions, that if I do something around any holiday just one time, it will automatically become a tradition, even though I didn't intend it to be! 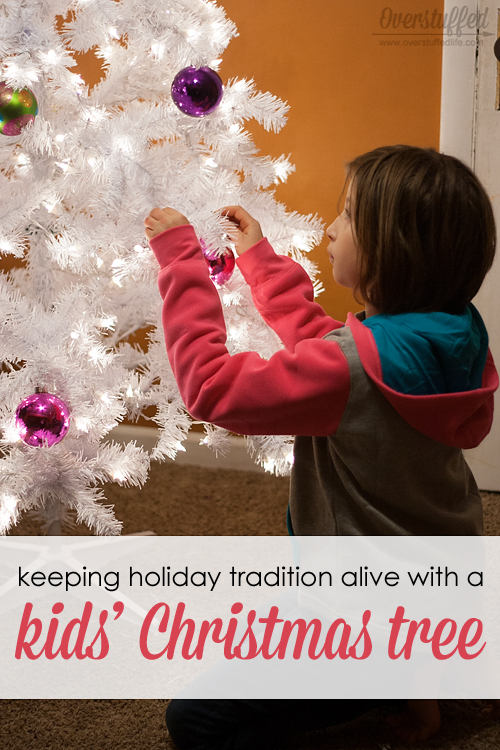 But that's okay with me, because I love traditions just as much as my children do. Having my eldest daughter in high school this year is really making me realize how little time I have with my kids at home before they're off having their own little families. 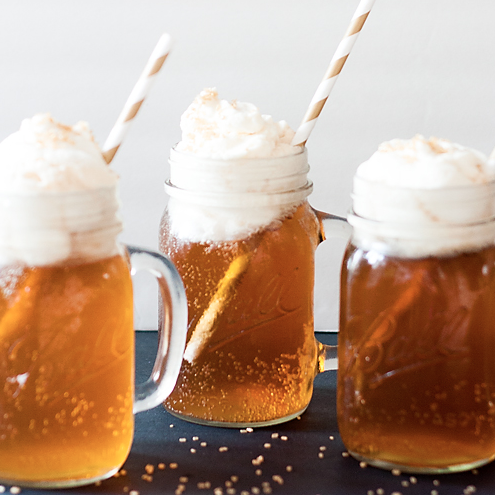 Traditions are something we can hold onto no matter where we are. 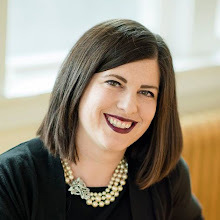 We feel connected with our loved ones via tradition and it is something my girls can then share with their own children. Just like I have done. Some of my favorite traditions as a child include Christmas caroling to the neighbors on Christmas Eve, visiting Santa, Christmas PJs, and our Christmas Eve nativity. I also absolutely loved decorating the tree every year. This is a photo of me and my brother David decorating our Christmas tree together in what I am assuming is 1978. Aren't we cute? My love of decorating trees has never died. When I was a teenager, sometimes my mom would let me do the whole thing myself and I loved picking the colors and making it look beautiful. It is one of my very favorite parts of Christmas. When I was first married I could not wait to purchase a tree and all the ornaments to go on it. I get giddy thinking about getting the tree up and decorated, and it is understatement to say I go all out on my Christmas tree. 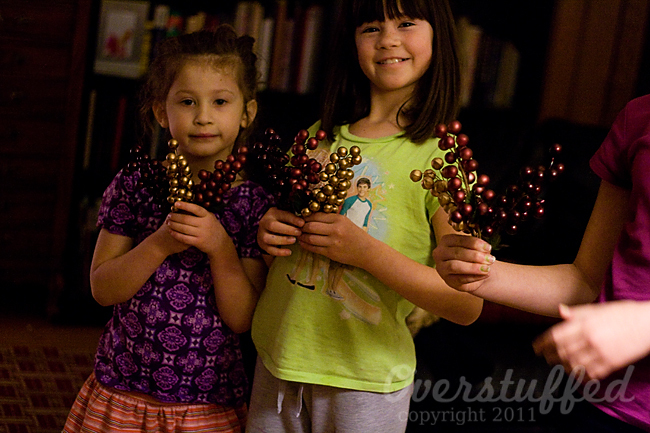 But when my kids came along, it posed a slight problem with the Christmas tree decorating. 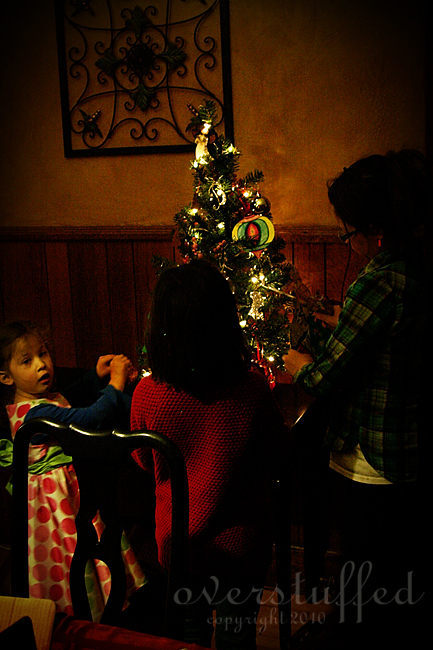 It wasn't that they aren't allowed to help me decorate the tree every year, because they totally are. I would never deny them that joy! We decorate together every year and have a wonderful time together. 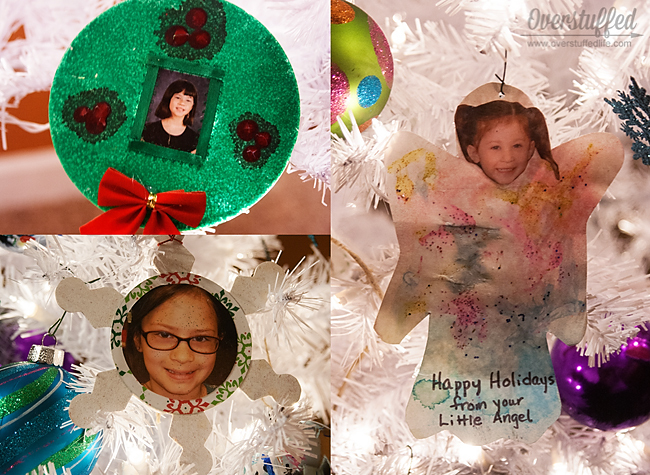 The problem was when they began to make all kinds of cute ornaments at school, church, and Girl Scouts.Those ornaments did not fit into my tree decor, even though I love every single ornament they make. How could I not love them? Half of them have my children's faces on them, and all of them are handmade with love by their adorable little selves. For the first few years, there weren't too many, so I just put them on the tree anyway. 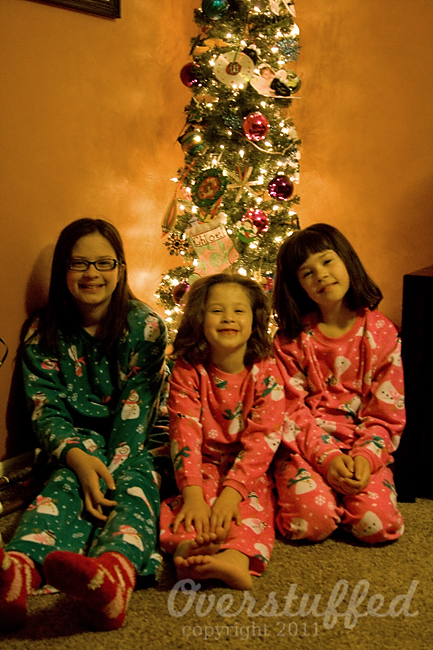 But then I decided the girls needed to have their own tree for all of their fun ornaments. 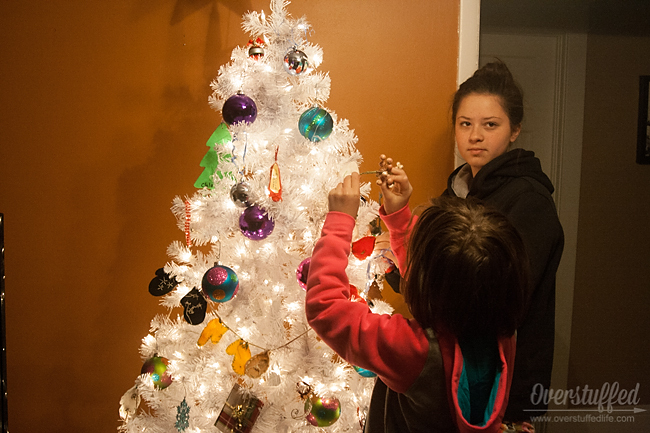 We started with a little tabletop tree in the dining room that they decorated every year themselves. But they grew out of that tree after just two years! They are prolific ornament makers, what can I say? So, I bought a pencil tree and we put it in the family room, while the main tree was in the living room. But even that tree was too small for all of their fun ornaments after just a few years. Last year I found a 6.5-foot white Christmas tree on sale after Christmas clearance. I asked the girls if they would like that for their tree and the answer was a resounding YES! So this year, their tree is big and white and beautiful. And they had a blast decorating it! I don't touch it. They do it all themselves. It's fun for me to see that they have picked up on the things I tell them when we decorate the main tree. 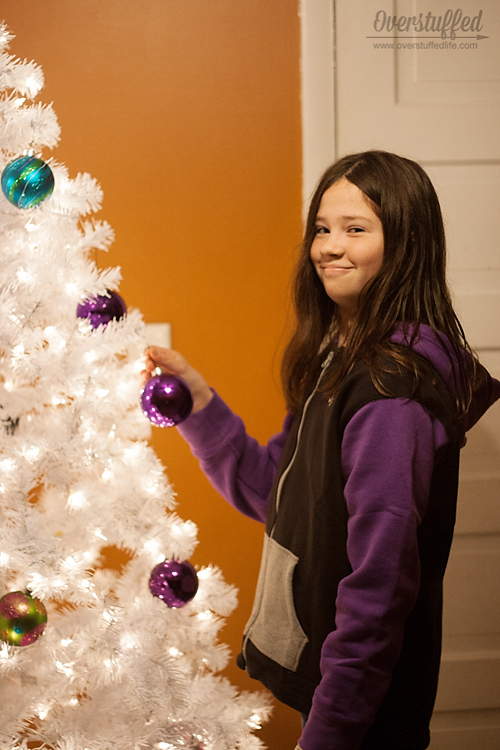 Chloe was totally fussing about too many purple ornaments being in the same area of the tree and making sure things were evenly spaced. Sophia was very concerned about fluffing the branches correctly. Bria helped for a little while, but mostly she had to study for a big test. 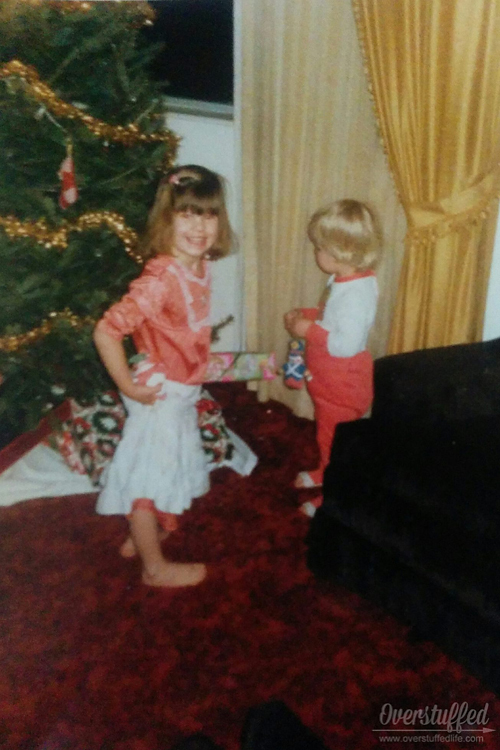 One of my favorite things about that photo of me and my brother when we were little, is that I am wearing a slip over my nightgown. I remember loving that slip and using it as a dress up item all the time. I love that it didn't bother my mom that I wasn't looking "perfect" and she just took a photo as we were. I might not have thought of how much I loved that slip as a child if it weren't in the picture! My kids also have their own fashion sense. While sometimes I think it would be awesome to have all my children wear perfectly coordinated outfits that match the tree we are decorating, it is not realistic. Instead, I let them wear whatever they want. Even if it is a shirt with their current favorite cartoon character or orange stripes with purple polka dots! You thought I was joking about the orange stripes and purple polka dots, didn't you? And while it isn't a cartoon character, Chloe was rocking the High School Musical look that year. 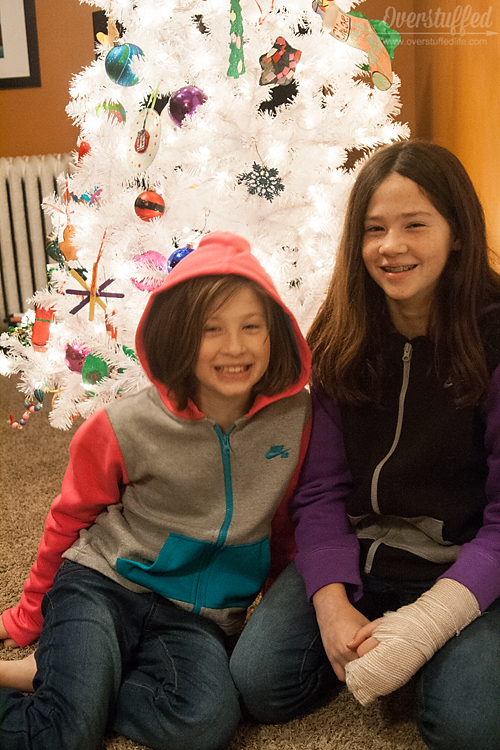 This year my two youngest are rocking the sporty comfortable look from Macy's. Celebrity pink jeans (our favorite brand), and cute Nike hoodies keep them warm in our freezing temperatures. Even though they aren't wearing Christmas colors, they are looking absolutely adorable in their purple and pink next to the Christmas tree. Christmas can be bold, bright colors too--just look at the ornaments on that tree if you don't believe me! Macy's is my favorite department store. Seriously. I buy as much as I can there for the whole family! If you're looking for affordable and stylish clothing your children will love to wear while decorating the tree or participating in all of your favorite holiday traditions, check out the children's clothing store online here: Kids Clothes at Macy's. They'll have their favorite characters (Elsa, Minions, super heroes and more! ), their favorite colors, and definitely their favorite styles. My favorite childhood tradition is the "cat tree" my mom always has! She uses a separate Christmas tree for all of her cat ornaments (much like you do with your girls and their adorable ornaments). I'd like to do something like you do, now that my 5-year-old is coming home with more and more ornaments... Just not sure where I'd put it in our little place! We always picked who got to read the story of Christmas, the Gospel of Matthew, from the bible before we could open any presents. Perfect way to remember what the day is really about! My favorite tradition from childhood is decorating the tree with my collection of rocking horses. That would be a huge hit with my family! I'd warm the brownies up and have the contrast of the cold ice cream. YUM! That bar looks awesome! We grew up opening a gift from the grandparents on Christmas Eve. I've always done it with my kids, too. I'm going to need a separate tree for all of my kids ornaments until they have trees of their own and want their ornaments with them. Our kids grow so fast, don't they? Love seeing those sweet faces! 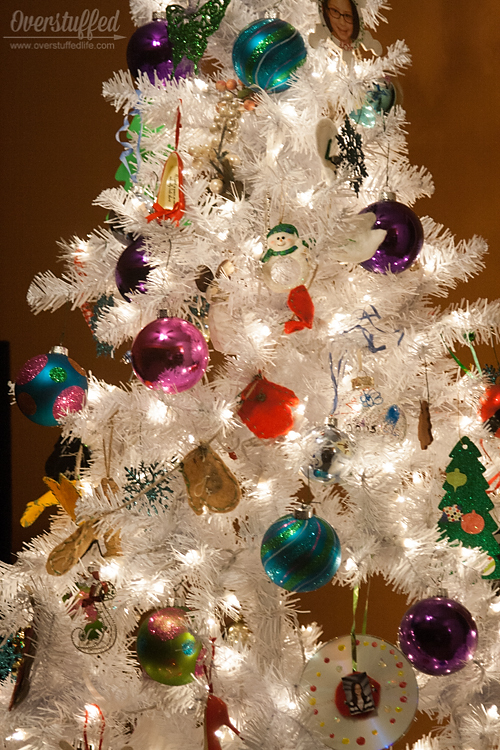 Absolutely adore the white tree! 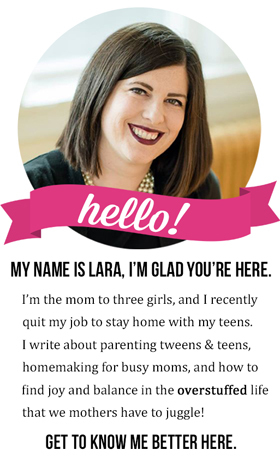 Your teen girl blog was a big hit on my facebook page! Sharing this! Our brownies were fresh out of the oven, and it was so good to have that hot/cold contrast, you're right! OH how delicious...I'll be over with my spoon soon! I love this! Traditions are big in my family as well. And even though my husband and I do not have children, we still have many of our own holiday traditions. Our favorite family Christmas tradition is baking Christmas cookies and decorating them together. I enjoyed making a fresh warm batch of cookies after returning home from the late Christmas Eve mass. These cookies were for Santa. I want those for dinner! Pinned & tweeted for ya sweetie! She looks healthy and happy. You are such a great mom! I know it's not easy living gluten free. Love your brownie recipe! 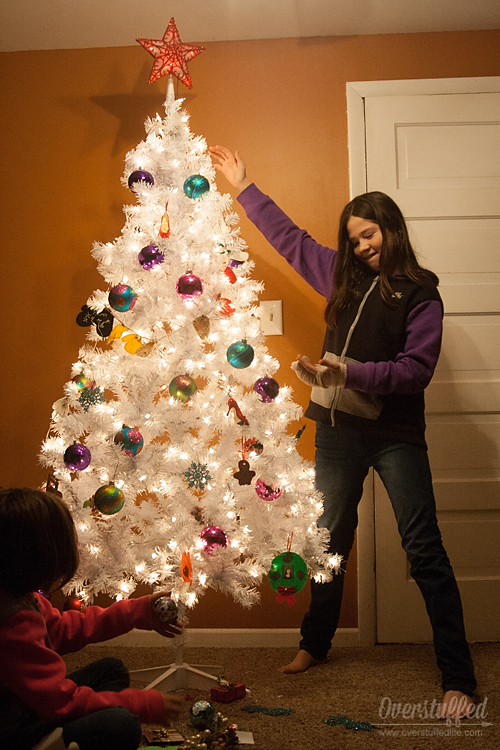 Decorating the tree is our favorite tradition. Every Christmas Eve my family read a Christmas story called "A Cowboy Christmas", it was all about a cowboy named Stubby Pringle. Now we all see that it is a bit cheesy and overdone but we LOVED listening to it when we were little. Roasting the turkey and going to the church play on Christmas Eve. My favorite childhood tradition is every year going to the Christmas Parade downtown where we live. I have been going since I was a child, and now I get to go with my kids. My favorite Christmas tradition is the Nativity pageant that we put on with all of our extended family. The part of the baby Jesus is always played by whoever is the youngest cousin that year, and last year our new little baby got the role -- he looked adorable!